VICTORIA -- British Columbia is a climate-change laggard despite its eight-year-old tax on carbon emissions from fossil fuels, says a new report by the Pembina Institute. It said B.C. has fallen behind Alberta, Ontario and Quebec in the fight against global warming as those provinces seek ambitious emission reduction targets, the institute's director Josha MacNab said Tuesday. The report included information from the international Deep Decarbonization Pathways Project, which has 16 member countries, including Canada. It concluded B.C. 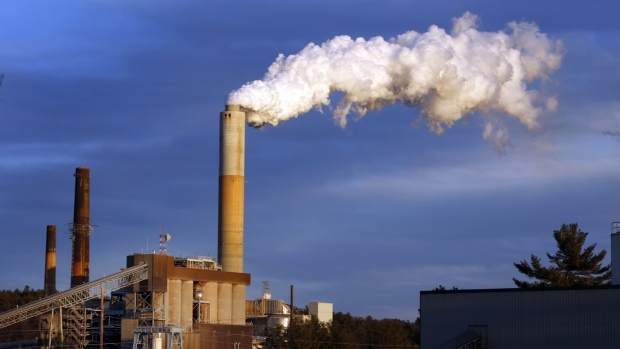 's greenhouse gas emissions could rise by 39 per cent above 2014 levels by 2030. In Alberta, Ontario and Quebec emissions are projected to decrease by 26 per cent, 22 per cent and 23 per cent respectively over the same period, the project found. Pembina helped fund Canadian researchers working on the United Nations-backed project that involves scientists from the world's largest greenhouse-gas emitting countries as they seek to limit global warming. MacNab said B.C. 's carbon tax was a leading climate-change fighting initiative in 2008, but it's been frozen for the past four years. The province charges $30 a tonne on carbon emissions, adding up to about seven cents on a litre on gas. "B.C. 's carbon tax was definitely a bold new policy in 2008 when it came out and B.C. was definitely a leader at that time with that policy," MacNab said. "But by freezing the carbon tax and not increasing it over time, the policy loses its effectiveness and what you see as a result is the emissions projections for B.C. are projected to go up." She said the report models climate actions that date from 2014 onwards and includes proposed climate-change initiatives in Alberta, Ontario and Quebec. "The thing with climate action is, we need to continually ratchet up our level of ambition." British Columbia was the first jurisdiction in North America to introduce a broad-based revenue neutral carbon tax. The province is expected to announce a new climate-change plan later this month, including initiatives to reduce carbon emissions. A report from the government's Climate Leadership Team, which includes environmental groups such as the Pembina Institute, made 32 recommendations last year, including lifting the carbon tax freeze and resuming annual increases of $10 per tonne of carbon emissions. 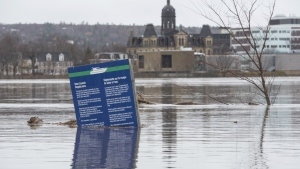 Environment Minister Mary Polak was not available for comment Tuesday, but her ministry said in a statement that the province has been recognized as a world leader in the fight against climate change since 2008.